When it comes to diamonds, we usually associated them with how good they will look on the fingers of our partners. We also know that diamonds are pretty much indestructible, but contrary to popular belief, they are not invincible and can be broken down. Common people only think of diamonds as jewelry, but diamonds also have many other uses such as their industrial usage in drilling parts and heat sinks. 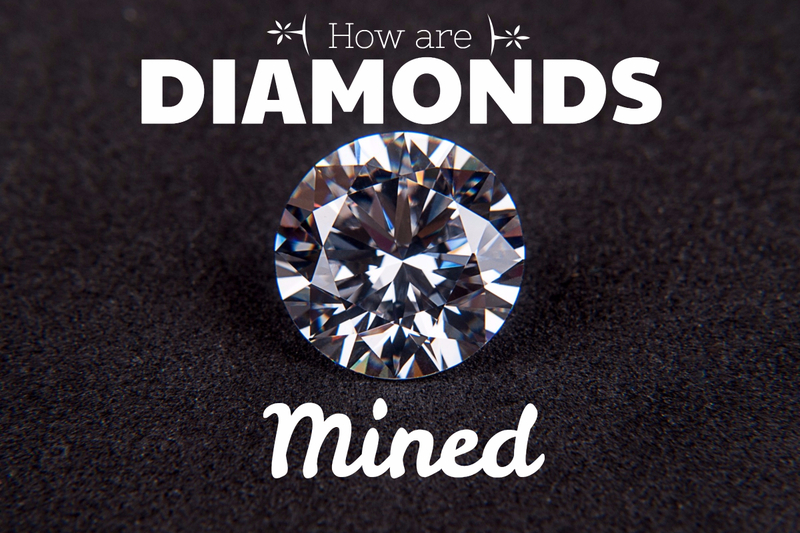 Diamonds are great, but did you ever wonder how they are mined? Did you know that diamonds are very rough when they are first extracted from the earth and that they have to go through a very long and expensive process to get into a shape that can be commercialized and sold off as diamond jewelry? Even with all the advancements in technology man has made, diamond extraction is still a tough job. it isn’t only tough but also time consuming and very expensive in which diamond mining companies have to spend a huge fortune in order to get a diamond in its final shape. Let’s look at one of the most popular methods of diamond mining. Before the diamond can actually be mined, the whole process begins with professional prospectors finding out about reserves of diamonds on earth. They usually find a trail of crystals and with the help of geologists, find their way to bigger sources of diamonds where pipe deposits are. Once these pipes are found, the geologists try to find out if the diamonds in the source are worth to be mined and can be profitable in the long run. Shanks are then inserted inside the ground where these ore bearing pipes are and a huge level of soil is extracted out from there. To make sure that the mining efforts are paying off, the extracted soil is never inspected on site, instead it is transported to facility where they are checked. These are the same facilities specially designed to extract diamonds from the soil and then they are processed. In order to process them, a few hundred tons of soil is examined and rich ore is found and believe it or not, the hundreds of tons of ore can often only produce a single carat of gem that has the right quality to be sold. Even after it has been processed, it is still far from being able to be sold in jewelry shops. The rough stones that are worthy with quality is then sorted out and put together to create various gem quality categories. Many jewelers who professionally cut them into various diamond shapes acquire them and then they are sold to people who love diamond jewelry. One of the best examples of this is what you will find in this diamond advisors james allen review. The process is long, hectic and costly, which is why the diamonds are very expensive. Another reason for them being so costly is because good quality diamonds are rare to be found. Their rarity makes them quite expensive to acquire and thus they are known as precious stones.